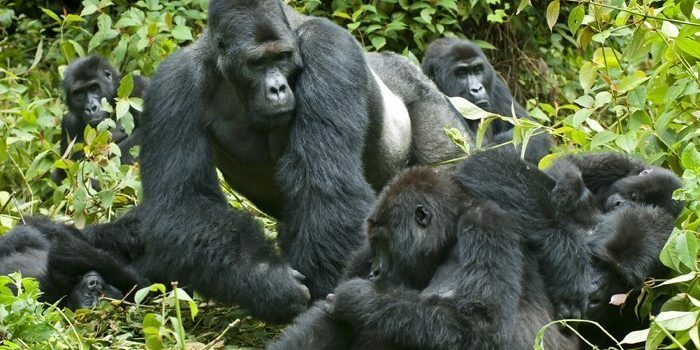 Our 19 Day best of Uganda safari highlights is for those who have enough time to spend in Uganda to explore and discover “The Pearl of Africa. 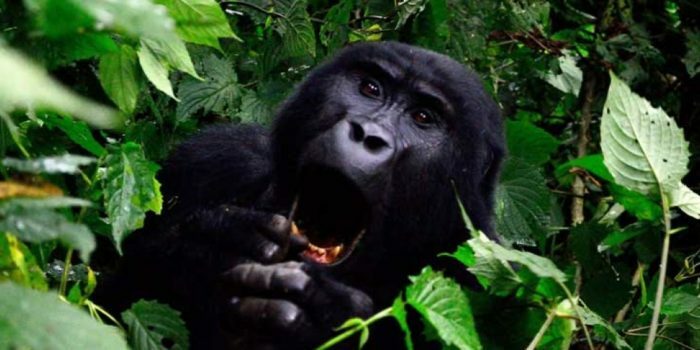 This safari covers Northern and North east National Parks of Kidepo Valley National Park and Murchison Falls National Park providing an opportunity for trekking chimps thrice in the different environments of Budogo Forest, Kyambura Gorge in Queen Elizabeth National Park and Kibale Forest National Park. It also offers you a chance to visit four savannah National Parks for game drives and boat cruises. Enjoy two boat cruises in Murchison Falls National Park, one boat cruise on Kazinga Channel in Queen Elizabeth National Park, Canoe ride in Lake Bunyonyi as well as Lake Mburo National Park. These four savannah National parks included here offer the best of game drives with chances of spotting thousands of antelopes, hippos, elephants, buffaloes, lions, leopards and so much more while on our 16 day primate, game and cultural tour. 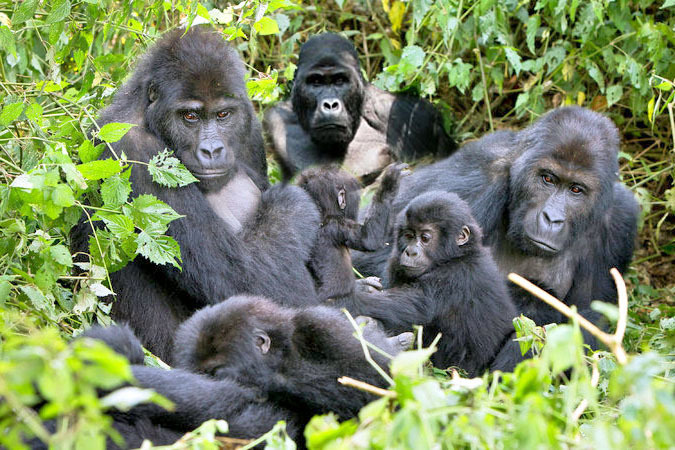 The highlight of this tour is definitely gorilla trekking in Bwindi Impenetrable National Park. To make sure that you also interact with the local communities around these national parks, we have several village and community walks that will take you to the nearby villages to learn more about people and their cultures. Day 04: Visiting the Karimanjongo Villages to explore cultures of these pastoral people. Overnight at Boma Hotel on Full Board. Day 13: Morning chimp trekking in Chambura or Karinzu Eco tourism site and afternoon visit to Katwe salt mining site: Overnight at Bush Lodge or Buffalo Resort. Day 19: Early morning game drive and then transfer to Entebbe Airport via the equator crossing. After breakfast, you will be met by your guide for briefing and thereafter drive to Kitgum town for overnight. All our tours to Kidepo National Park stop at Kitgum town to break the long journey. Today, you will spend both morning and afternoon doing game drives in the savannah plains of Kidepo valley National Park. 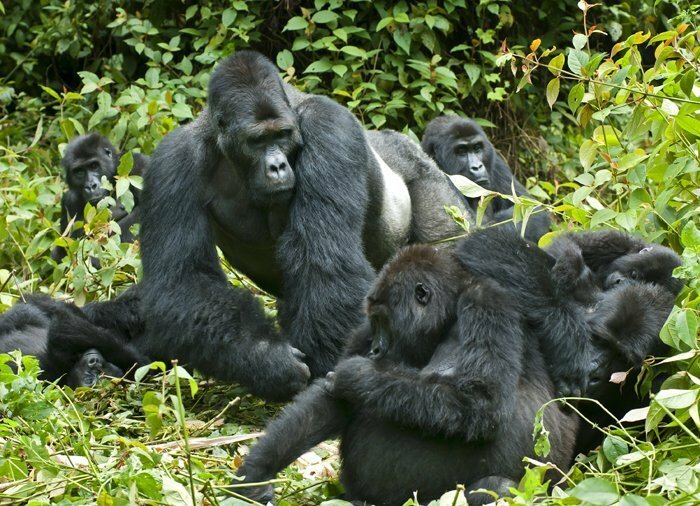 This park hosts a great variety of animal species in comparison to any other Ugandan parks. 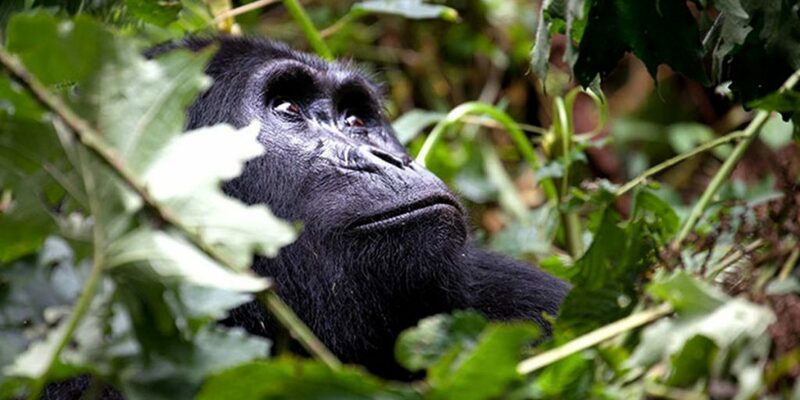 Of the Eighty species recorded in 1971, Twenty eight weren’t known to exist in any other park within Uganda. Carnivore species distinctive to Kidepo are: the Hunting dog, Bat-eared Fox, Cheetah, Striped Hyena, Caracal and the aard Wolf. The more uncommon ungulates are: the greater & Lesser Kudu, roan antelope, Chandler’s mountain Reedbuck, beisa oryx, Klipspringer and Bright’s Gazelle, have been greatly decreased by poachers within the past few years. Among the other big ungulates are: elephants, oribi, burchell’s zebras, Jackson’s hartebeests, bush pigs, bohor reed buck, warthogs, rothschild giraffes, defassa water bucks, cape buffaloes, elands, bush duskiers and bush bucks . Five primate species are found within the park of which the most endemic is the Kavirondo bush baby. Carnivores existing include lions, side-striped jackals, leopards, black-backed jackals, various small cats as well as spotted hyenas. After breakfast, you will visit the homes of the Karamajong, interact with the elders and get to know more about the lifestyle, culture and behaviours of the onetime pastoral group. Drive to Kitugum for overnight. 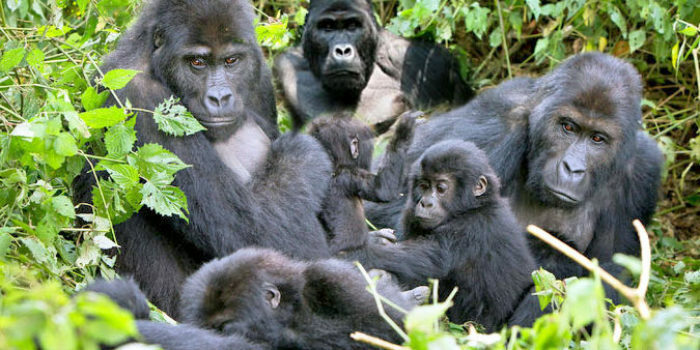 Africa gorilla vacations supports some projects so those who want to do something on their tour can go for volunteer work. Return to the Lodge for overnight.